Khoon Ki Pyas Novel Shahenshah Series 9 Authored By M.A Rahat. This novel Khoon Ki Pyas is an interesting novel contains a social criminal and investigation Jurm o Saza story in Urdu language. Urdu novel “Khoon Ki Pyas” is now available on Pakistan virtual library for online or download in high quality pdf document. Click on the below mentioned link to read online and download Khoon Ki Pyas Shahenshah Series No. 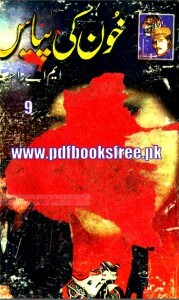 9 novel in Pdf format for offline reading.